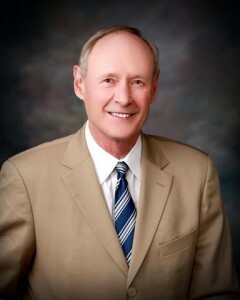 LANCASTER —Paul Brydon has been selected as Antelope Valley Hospital’s interim Chief Financial Officer, according to an announcement by Interim Administrator Pamela Hinson. Brydon brings to AVH over 25 years of experience in healthcare finance. Most recently, he served as Chief Financial Officer at a number of hospitals, including Northridge Hospital, Verdugo Hills Hospital, and executive level positions at Resurrection Health, Chicago and Catholic Healthcare West, and Bank of America. Brydon took on his new appointment on Monday, July 8 and will serve in the role until permanent replacements are found for AVH’s former Chief Executive Officer Ed Mirzabegian and Chief Financial Officer Cheryl Tong, who recently resigned to pursue other professional opportunities. Brydon holds a bachelor’s degree in economics from University of California, Davis and a master’s degree in corporate finance from Golden Gate University. 1 comment for "AV Hospital announces interim Chief Financial Officer"
Congrads on your position,You bring good Leadership skills. With Dr Farrukh,on the Board ,i dont see anything but good things to come to the Antelope Valley residents.